Once again a permanent cinema returns to the Perth CBD. 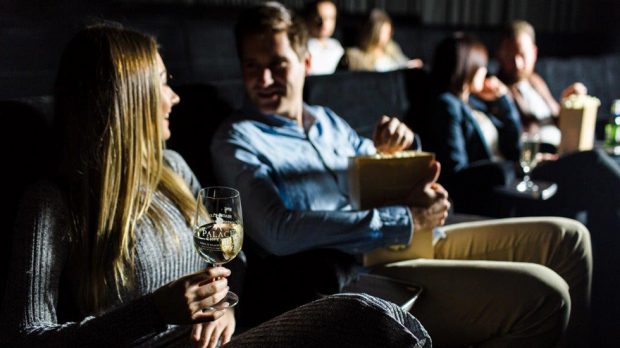 This week sees the opening of the Palace Raine Square Cinemas. Located at the top level of the new Raine Square Development, this actually promises something special in terms of cinematic experience. The Palace Raine Square Cinemas opened on Monday September 17 with a red carpet event, featuring a speech by The Hon. Minister Paul Papalia, and a preview screening of Bruce Beresford’s new Australian film Ladies in Black. So far the complex boast nine screens and two separate bars, as well as a licensed rooftop terrace overlooking Yagan Square. The cinemas are of various sizes, with the largest being able to seat slightly over 150 people, complete with reclining chairs with their own small table. Come early October and Palace will be opening a further four Palace Platinum boutique screens in the venue, bringing an extra level of comfort and luxury to the cinema going experience. Ultimately the cinema complex serves as a highlight of the Raine Square development, and one that can further revitalise interest in the Perth CBD. For details and session times visit the Palace Cinemas website for details.